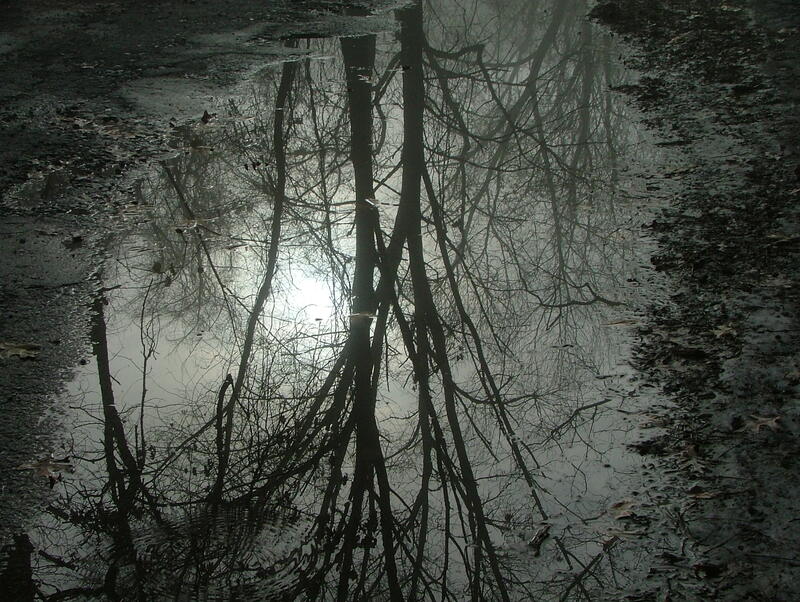 muddy and dreary places in our lives. provide an opportunity for our Father to reflect His grace. no matter how dirty or messy we feel it is. if we allow Him to do His work in us and through us. “Thank You, Father, for shining Your light onto my path. Help me to surrender all my life to You, even the painful places. You are able to use all of my story and fill it with Your grace. 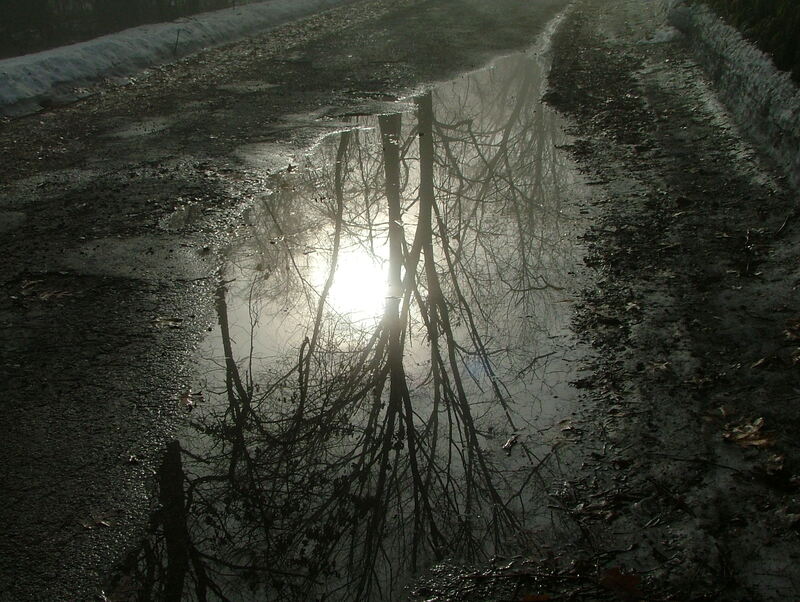 This entry was posted in Christian Poetry, Devotional, Ponderings, Sunrises - Pictures and tagged puddles, reflections, renewing, restoration, sad places. Bookmark the permalink. Neat picture and neat reminder. Thanks Heidi…enjoy your day! thank you, Sarah … Hope your day is beautiful!!! Thank you Juliet … We serve a beautiful God who turns whatever we give Him into precious testimonies of His grace 🙂 Glad to have found your blog! This is so perfect for me, Heidi .. thank you for listening to Him and writing what He brings to you. And photographing too, to help the message stick! I don’t always want to even think about the ugly stuff, let alone share it, but He keeps showing me too, that there is beauty in it, because of Him. God bless you bunches!!! I am so grateful for your heart and the way you share it at your blog. God bless you and your efforts mightily! I agree. It is often in the painful wherein He draws nearest and out of those experiences, others can best relate. Love your photos! That was a hard lesson to learn, that there was no more shame, only grace. Beautiful reflections. I agree … it is a lesson I continue to learn and try to remember … Thank you for taking time to comment and encourage! Heidi, I love your final thought of : “sometimes, while looking back, we find beauty in our past and in that which God restored!” – Amen! Truly beautiful God 🙂 Blessings to you! Thank you Heidi for this post of such peace and hope. Beautiful. Thank you for taking time to comment … He is amazing and does show us when we seek Him with all our hearts … Praying for you and your steadfast walk in Christ! Blessings to you today! Thank you sharing, it came at a time of self reflection and was excatly what I needed to read. I hear God gives us what we need when we need it, He works though others to get His point across, I felt great peace and lightness when I read your post. I felt God’s presence in my life through you. Beautifully written and wonderful pictures!